“Jumbo” is announced as a new weight classification. Conveyor belts were added to the hen house to collect the eggs as soon as they were laid and carry them to the washers. While expensive, specialized henhouses resulted in much healthier birds. East Indian history indicates that wild fowl are domesticated for the first time. Go beyond the more traditional recipes and experiment with ideas and techniques you've never tried before. Mix in your favorite vegetables, meats, and sauces. Bake, poach, hard-cook, fry, or scramble up a personalized egg dish. Enjoy summer with one of the most nerve-cracking, skill-demanding, and silliest games ever — the egg toss. Gather up some friends, brave the potential mess, and have a blast with simple, laugh-inducing fun. Any “kitchen novice” will tell you that one of the most difficult culinary techniques is the omelet flip. Get practicing, and then show off your newfound skill at family breakfast first thing in the morning. The deviled egg concept began with Ancient Rome. According to the food historians, the practice of "deviling" food began sometime during the 18th century in England. Deviling refers to cooking something with fiery hot spices or condiments, and was adopted because of the connection between the devil and the excessive heat in Hell. According to historic cookbooks, the practice of boiling eggs, extracting the yolks and combining them with spices and refilling the eggs with the mixture was common in latter years of the 16th century, and was commonly practiced by the 17th. Eggs are a very good source of protein, especially the egg white. More than half the protein of an egg is found in the egg white. It's also rich in minerals as well as Vitamins B2, D, B6, and B12. 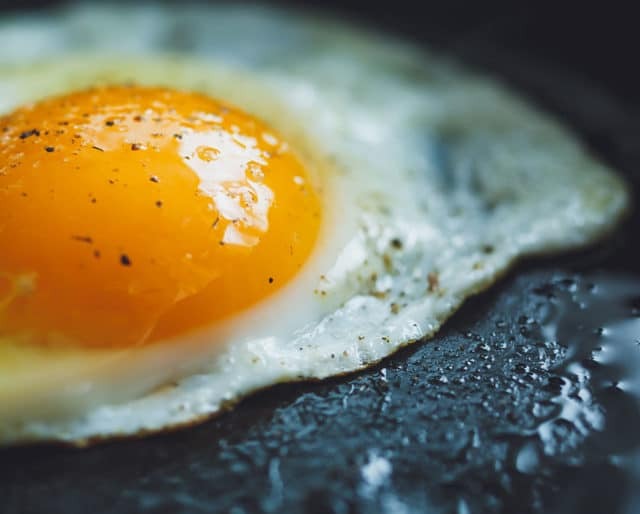 New studies show eating eggs can increase the amount of cholesterol in high-density lipoproteins (HDLs) — the good cholesterol — and that when people ate three or more eggs per day their bodies made bigger HDL particles than when they ate no eggs. Eggs are currently priced especially low, and are, in fact, the lowest they've been in over a decade. A carton of eggs is way cheaper than those deluxe containers of protein powder — and tastier, too.